Civil activist Yasamin Ariani, freed in mid-winter of 2019, was rearrested at her home. On Wednesday, April 10, 2019, in a short call to her family she informed them that she had been detained on a complaint filed by the Guidance Prosecutor’s Office. Security agents had referred to her home with her arrest warrant on April 10, 2019. They conducted a thorough search, confiscated her cell phone and some other personal belongings and took her into custody. Earlier, on April 8, 2019, Yasamin had announced that she had been banned from playing in a play called “Actors’ Studio” at Malek Theater in Tehran on the order of the Ministry of Guidance. 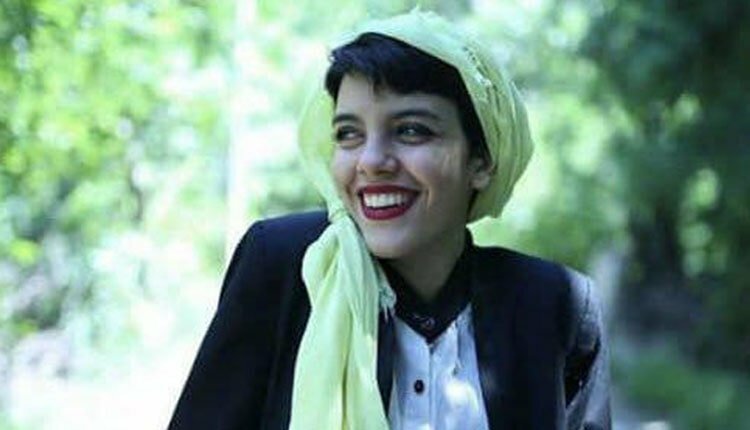 Civil activist Yasamin Ariani, 23, was arrested in mid-summer of 2018 along with some other young women civil activists and was transferred to the notorious Qarchak Prison in Varamin. Her case was in limbo for a while. Subsequently, she was sentenced to one year imprisonment on the charge of “disrupting public order” and was transferred to Evin Prison. Simultaneous with her arrest, she posted a clip of herself and others arrested with her from inside the State Security Force (SSF) van. She was arrested while helping a woman in front of the city’s theater, who was the subject of police violence. After being released from Evin Prison on Feb. 13, 2019, she announced that her pardon was just a show by the regime’s officials. Civil activist Yasamin Ariani and Saba Kord Afshari, revealed in an interview the regimes’ crimes against incarcerated women and the prison’s conditions.